Cash Buster Towers is a new release by the world leader of online slots ‘IWG’. This game is newly added to the list of IWG and has received great appreciation from the online players. This game is themed around volatile coloured bricks which the players blast and tumble the towers to earn big. What Is So Eye-Catching About Cash Buster Towers? 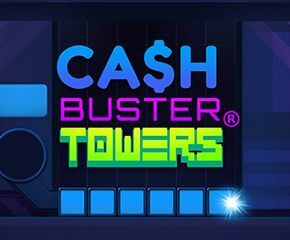 Cash Buster Towers, an instant win game includes the exciting range of eye-catching new features which will surely make this one as an instant hit game. 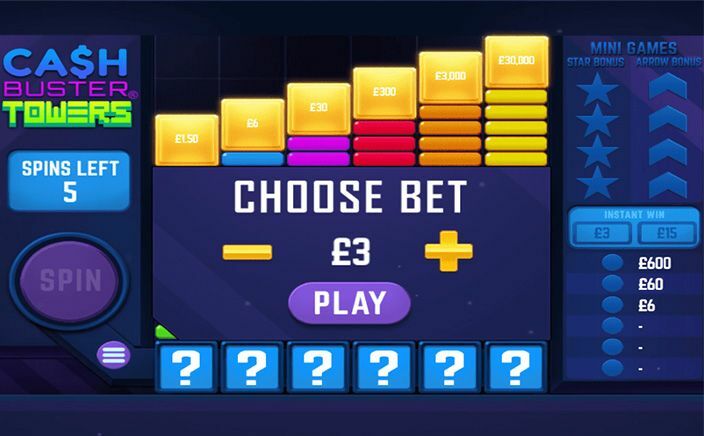 The game includes a spin button which explodes all the blocks arranged in the form of towers and when the huge tower collapses a player may win a prize up to £100000. According, to chief commercial officer Leon Thomas: Cash Buster Towers is most enthralling and successfulIWG gam in lottery space and excitingly, it is also available in commercial sectors. Instant Win Games At Casinos? It’s more traditional for creators to make the transformation from the physical terminals to the wagering titles and online casino games, but IWG has some different thinking and has adopted a reverse approach. The company is confident that his move will better payoff and is also optimistic that its great brand recognition that is built up online will change over into the kingdom of the lottery games and physical casinos. Once the game starts, the first thing a player is required is to place the bets. The bets can be adjusted by minus and plus buttons provided in the corner. After that, the game begins and a player is rewarded eight dice rolls. Then, a player is required to throw a dice of the roll which brings up the coloured face that is shown on the right side of the screen. Also, there is cash buster zone which consists of the block of various colours. If the colour which appears on dice matches with the colour on the blocks, it leads to the destruction of blocks of similar colour. In this way, a player is awarded by the filing of the prizes in the place of destroyed blocks. Interestingly, the instant payout can also be won by hitting the block having the hidden instant prizes. One should always keep in mind that there are only 8 dice rolls available to make a win. But an extra roll can be achieved if the player destroys the corresponding block. The game comes to an end only when there are no rolls left in the game. Cash Buster Towers is one of the high-quality game by IWG. It is developed in HTML, making it favourable for mobile and tablet players. It has moderate variance and punters can expect to earn a hefty amount. Also, the bonus feature is very attractive and addictive. It has a decent RTP of 85.3%.